Bungry – bored and hungry! 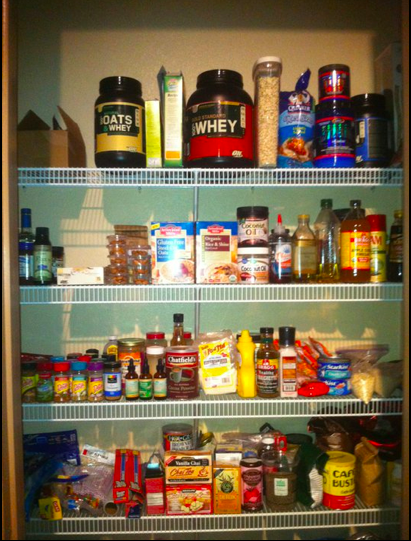 So I don’t know about you but I do know that when I get bored I walk to my pantry a few times. I just stare at the food as if it’s going to change to calorie free food and somehow I can eat it while I watch Snooki and “The Situation” fight about their undying love for one another on “The Jersey Shore”. I don’t know why we eat out of boredom but we do it and those calories sure add up. The good thing is, I try to not keep any junk food in my house. My husband eats pretty healthy too but he has some healthy treats that I can’t have so we put it in one of the cabinets I can’t reach haha. Good thing I am 5 ft. tall! I would have to climb to try to get it! What do I do in these situations? First and Foremost clean your pantry! Throw away all the junk you don’t need. Junk food is not needed if your trying to live a healthy lifestyle. If it’s out of sight, it’s out of mind!! Below I have compiled a list of things I do to keep me from eating when I am Bungry. Drink Green Tea– I love all the flavored kinds especially Vanilla Chai! This is perfect for night too when those late night sweet cravings come in. Scrapbook– I have tons of photos in my digital camera and laptop and they just stay there. Finally I got some developed and started putting albums together and scrapbooks. I love having albums and being able to show friends and family when they come over. Coffee– Decaf or regular .. If I already had my morning java then I try to stick to decaf ones so that I don’t intake too much caffeine. My favorite flavor is anything with cinnamon.!! Shopping-Bored? Go to the mall to shop or even window shop your walking and burning calories. I love buying gym clothes because it motivates me to look good in them. I also like going to Sephora and Mac and trying new colors for new looks. Makeup– experiment with putting on your makeup a different way. I love watching makeup tutorials on YouTube. Facial– give yourself a facial. When I work out I sweat profusely and tend to breakout around my hairlines so I try to give myself an exfoliating mask once a week. Read– Books, magazines, articles online at http://www.bodybuilding.com … reading is reading so whatever it is just read. Posing practice- There is never too much practice! Practice makes perfect! Do your hair and makeup full out and you will enjoy your practice. Oh wow THANK YOU SO MUCH! You are too friggin sweet! That means a lot!